Holly (Katherine Heigl) is an up-and-coming caterer and Messer (Josh Duhamel) is a promising network sports director. After a disastrous first date, all the have in common is their dislike for each other and their love for their goddaughter Sophie. But when they suddenly become all Sophie has in this world, Holly and Messer must set their differences aside. Juggling career ambitions and competing social calendars, they'll have to find common ground while living under the same roof. Josh Lucas, Christina Hendricks, Hayes MacArthur and Jean Smart costar in this tart and tender romantic comedy directed by Greg Berlanti (TV's Brothers & Sisters and Everwood). When I picked this one up at the library yesterday I thought it was one I never seen before. But it turns out I did see it. Not sure where... probably either through Netflix or on cable. I grabbed it because of Katherine Heigl... as I been a fan of hers since her Roswell days. She was also great on Grey's Anatomy. I really enjoyed this one quite a bit. I found the storyline to be entertaining... and thought everyone in it did a good job. If you never seen this one before I recommend checking it out. The Red Skull defeats Captain America in 1941, but the super her is thrown into suspended animation. Captain America is revived 50 years later to face the Red Skull one more time. While I have heard about this film... this is the first time I got to see it. I am glad I finally tracked down a copy... as I enjoyed every minute of it. I found it to be just plain fun. Though I would have liked to seen Captain America in his uniform more during the middle of the film... that is just a minor complaint. This is a DVD I borrowed from the library... so I hope to be able to add it to my collection before too long. I only have the DVD with bad VHS transfer. Tom the MGM MOD-DVDR certainly looks better than what you have and they are region free. Thanks, but I am still waiting for a proper Region B release. Currently I have a Region 2 DVD release which was released in 2009. I don't remember how bad the video quality really was. I think it was watchable. So I am only double-dipping on that one, if it is released on Blu-ray. Director: Irvin S. Yeaworth, Jr.
A CULT CLASSIC OF GOOEY GREATNESS, The Blob follows the havoc wreaked on a small town by an outer-space monster with neither soul nor vertebrae, with Steve McQueen playing a rebel teenager who tries to warn the residents about the jellylike invader. Strong performances and ingenious special effects help The Blob transcend the schlock sci-fi and youth delinquency genres from which it originates. 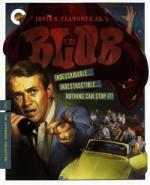 Made outside of Hollywood by a maverick film distributor and a crew whose credits mostly comprised religious and educational shorts, The Blob helped launch the careers of McQueen and composer Burt Bacharach, whose bouncy title song is just one of this film's many unexpected pleasures. While I have seen the remake several times... this is the first time I have gotten to see the original. And I must say, I enjoyed every minute of it. Definitely prefer this one over the remake. I never realized till now that the original was in color. All these years I thought t was a B&W film. Anyway, if you haven't seen it yet I recommend this one. I watched a friend's copy... so hoping to add it to my collection before too long. I don't think I've ever seen that one. 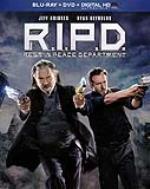 Jeff Bridges and Ryan Reynolds headline this supernatural action-adventure as two cops dispatched by the Rest In Peace Department (R.I.P.D.) to protect and serve the living from increasingly destructive spirits hiding among the unsuspecting on Earth. When they uncover a plot that could end life as we know it, the new partners have to turn grudging respect into top-notch teamwork to restore the cosmic balance...or watch the tunnel to the afterlife begin sending angry souls the very wrong way. I decided to watch this one today. Going into this one I heard both good and bad about it. After watching it... while I can see where the bad reviews were coming from... I personally enjoyed it. Sure it is cheesy as can be... but I just found it to be a whole lot of fun! As always I liked Ryan Reynolds in this film. And for a change I even liked Kevin Bacon. Which is surprising as I usually can't stand him. The one I didn't like in this film would have to be Jeff Bridges. Anyway, if you go into this one just looking for some good cheesy fun... I think you will enjoy it. But if you go into this one expecting anything more I think you will come out of it disappointed. I really enjoyed the movie when I saw it. Yes it was ....goofy at times, but I also thought it was fun and entertaining. But I also like stuff that is different or odd too. I decided to watch this one today. I been looking forward to seeing it for a long time. Over-all I enjoyed this one quite a bit. Sure there was things I disliked about the film. But there was a lot more good then there was bad. I liked the cast... thought they all did a good job. I didn't care much for the updated Superman costume. I much prefer the classic costume. I also not sure how I feel about how much Lois knows about Clark right from the beginning like this. Or how the fight between Superman and General Zod ends. 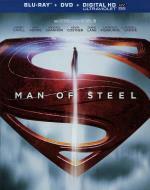 Though it was kind of nice seeing a Superman movie that don't involve Lex Luthor. I have mixed feelings about how things worked out with General Zod. On one hand, I see why this choice was made...on the other. well. It doesn't ....feel right. I am ok with Lois knowing sooner.